As the holidays roll around we are getting our homes (and ourselves) ready for the big celebration. How about your nails? I put my nails through a lot on a daily basis from typing to dishwashing and being clumsy, hitting my already weak nails causing breaks, tears, splits and more. Plus, I also like doing my nails with false enhancements or nail polishes which cause my nails to dry out faster. 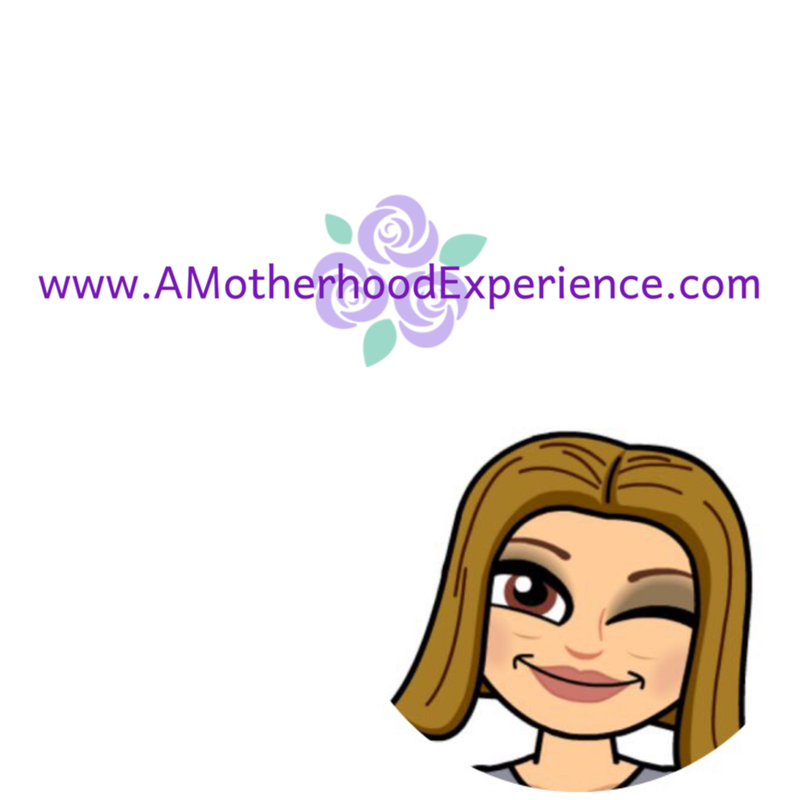 Usually, my go-to fix-it is lots of moisturizing with unscented hand cream and nail oils which is great to help them get healthier but it doesn't always help exactly how I want it to. I still have the curse of non-existent nail growth despite my attempts to try every trick in the book to help them grow long and strong naturally. I think I may have found my new favourite nail care products. My friends over at Trind sent me over their popular Nail Care line to try out for myself. Founded in 1988, Trind is one of Europe's top trusted hand and nail care companies located in the Netherlands. You can find Trind in the finest perfumeries across Europe, USA and also Canada! 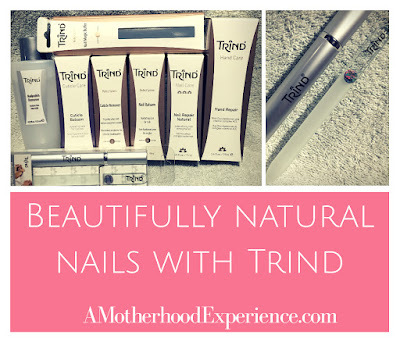 With the Trind Nail Care collection, its easier than ever to maintain healthy nails. First things first, filing into shape. Usually, I use an everyday nail file to smooth out rough edges and shape any unshapely nails but I have now since changed my ways. Trind Glass Nail File is made of the finest glass *watch out for crystal imitations which can damage your nails! * made to file smooth and not grind or tear your nails. Made of durable tempered glass, unlike other files this one can last a lifetime with proper care. The cuticle is the skin around the bottom of your nailbed. A lot of the time manicurists make a big mistake and cut it off with nippers when preparing the nails for a new manicure. Not only can this be painful but it can also cause damage like cuts which may allow bacteria to enter and then you have some major problems. Instead, use Trind Cuticle Remover which is a gentle solution made to soften the cuticles allowing you to simply push them down and remove any dead skin painlessly with an orange stick. Brush it on and allow it to absorb into the skin, wiping off any excess left over. Use it once every 4 weeks to clean up the cuticles! Next, I used the Trind Cuticle Balsam which brings extra moisture to the cuticles. Just brush it on and allow it to absorb, massaging any excess into the skin until dry. Equalize and stimulate natural nail moisture by using the Trind Nail Magic Buffer once every 4 weeks. This 3-step buffer helps exfoliate dried out cells on the surface of your nails. Lock in the moisture with Trind Nail Balsam; apply and let absorb, rub the excess into nails and cuticles until dry. Finish off the regime with my favourite of them all, Trind Nail Repair Natural which acts as a shield to protect and strengthen the nails. Brush on a coat, let it dry (dries within minutes). Do this every day for two weeks for maximum results, removing old coats using Trind Polish Remover which is extra mild and acetone free. I love the shiny gloss coat it gives my nails while protecting them from everyday damage. With healthy nails you want healthy hands; nourish and replenish skins moisture using Trind Hand Repair everyday. I have only been using the system for a couple of days but already I am seeing a major difference in my nails. I can't wait to see what two weeks will do! Check out my Instagram for an update in a couple of weeks! You can find the full line of Trind nailcare and "Caring Colours" polishes on the official Trind website. Follow Trind on Facebook and Twitter for the latest updates! UPDATE: Although this product didn't exactly help me grow my nails, it does help protect my nails between false manicures! Two (polished) thumbs up! Posted on behalf of Trind. Complimentary product received for review purposes. Opinions and comments are those of the author. My nails were so brittle once I hitched it halfway off. OUCH it was so sore. The Nail repair would be great to use to strengthen my nails. Thanks! My nails are dry and brittle. Nail repair would be great! My nails are always splitting so I never manage to grow them, I would love nice looking nails! 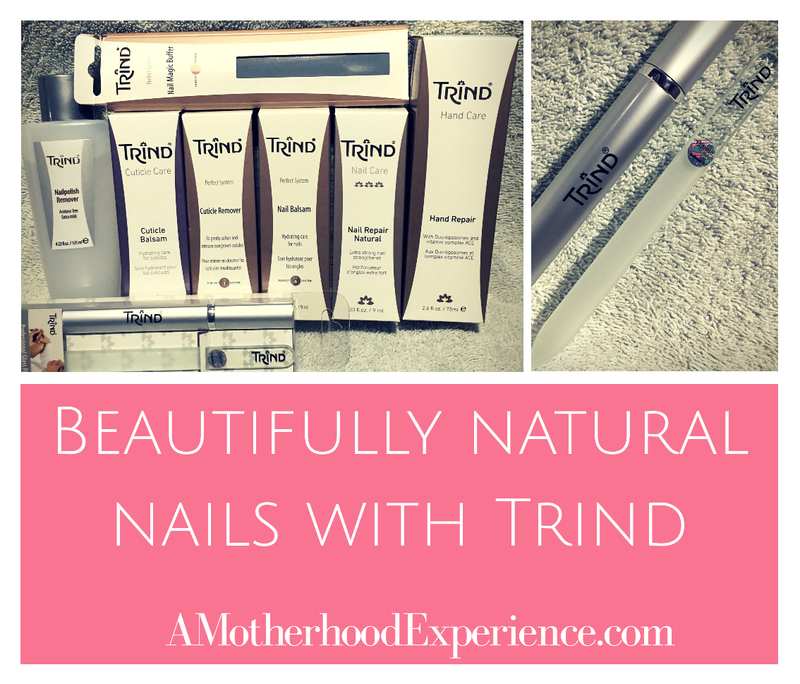 My worst nail nightmare is brittle nails and TRIND could help me to keep them strong and healthy! My worst nail nightmare is having nice nails & 1 that broke off. Last winter my nails were in horrible shape. They are already really thin but then they started peeling. I had to cut them down to the quick and put layers of nail polish on just to protect them and help grow them out. I'm hoping to avoid that this winter. My worst nail nightmare is dry brittle nails,this is such a good brand i know they can help my nails be healthier. My worst nail nightmare would be brittle nails, one time one of them tore off, man was that painful! I would love to try these products! The Trind Cuticle Remover would be awesome. I am a nervous biter so keeping my nails manicured/polished keeps me motivated not to! Having that nail that rips down too far on the nail...ouch! My worst nightmare is my nails are dry and my cuticles are very prone to hangnails as they get so dried out during the winter. The Trind Nail Balsam would definitely help that issue. My worst nail nightmare I have one brittle nail, and it sometime part of it tore off to the nail bed and it hurts. TRIND could help me to keep it strong and healthy! Thank you! My worst nail nightmare is having spilting nails that catch on everything! Trind could help my nails by strengthening them. My worst nail nightmare is fragile and brittle nails! Trind can totally help me strengthen them. About 20 years ago I was putting extensions in my step daughter's hair when one of the hairs poked my finger. I ended up in the ER with my finger and nail bed being destroyed; omgosh it was so painful. All these years later my nail is still destroyed with a huge ridge that splits off my main nail. Maybe Trind could make my nails a little more supple. My nails are not pretty. They are very brittle and cracks so easy. I would love for Trind to help me. Unfortunately I tend to get splits in my a few of my nails that start about half way down my nail. I then have to use super glue to prevent the ripping right across - the pain would be unbearable not to mention the blood. Trind could hopefully help cure this problem. I get splits in my nails and would love to try these Trind products. Thanks! My cuticles are the worst especially in the winter. I could use the Trind cuticle Remover and Balsalm. my nails are in rough shape, they are always splitting, I'm sure trind products would help them look their best. My nails are brittle and break often. Trind could help light them up wit the colours and harden them and keep them healthy! I hit my big toe this summer and, after a large man stepped on it, ended up with a severe infection. I would hope that Trind would help get my nails healthy again. My nails are thin with deep ridges. I would love to see if Trind could possibly make them thicker. I have arthritis and find it hard to make my nails look presentable and Trind could certainly improve their appearance. I work retail and my nails are a complete disaster! TRIND could help me make them look nice again! My nails are so brittle and break all the time. Hope Trind can help! Right now my nails are peeling terribly -- they could use some care! My nails can be so brittle! My nails are brittle and always break! I'm hoping Trind will keep my nails healthy and stronger. Just when I think I will actually have all 10 nails looking nice...a couple break...never, no matter what I do...my nails break!! I have two boys and no time to do my nails. Every single time I paint my nails, someone wants something before my nails dry completely. I ruin at least one of them every single time I do them. Ugh right now I have this hard acrylic nail stuff stuck on my nails from getting fake nails put on from my wedding a few weeks ago.. I didn’t realize how much it ruined your actual nails!! They certainly need some rescuing! I have 1 nail that splits and splits and just won't quit. I've tried several different methods and products, I don't know if Trind can help me but I'm willing to give it a go! my nails split and sometimes i have the occasional hang nail. i would love to see how Trind can benefit my nails! Having a nail break off!! I do not like nails that peel and TRIND can help prevent peeling nails. In the winter my cuticles get dry and crack sometimes and I get lots of hangnails. It doesn't atter how nice your nails look, if your cuticles are gross! The Cuticle Balsam sounds awesome. My nails are always splitting. I think this would help. Accidentally ripping my thumb nail off was the worst. Hopefully Trind would help a situation like that in the future.